Love works in mysterious ways. At Christmas 30 years ago, I was going through a painful divorce, far from my family, in a new city I had moved to for the crumbling marriage and would be alone. Just before Christmas, a surprise package arrived. Inside I found a Christmas stocking that had been filled with thoughtful little gifts so mine would not remain empty, and a box of homemade cookies. 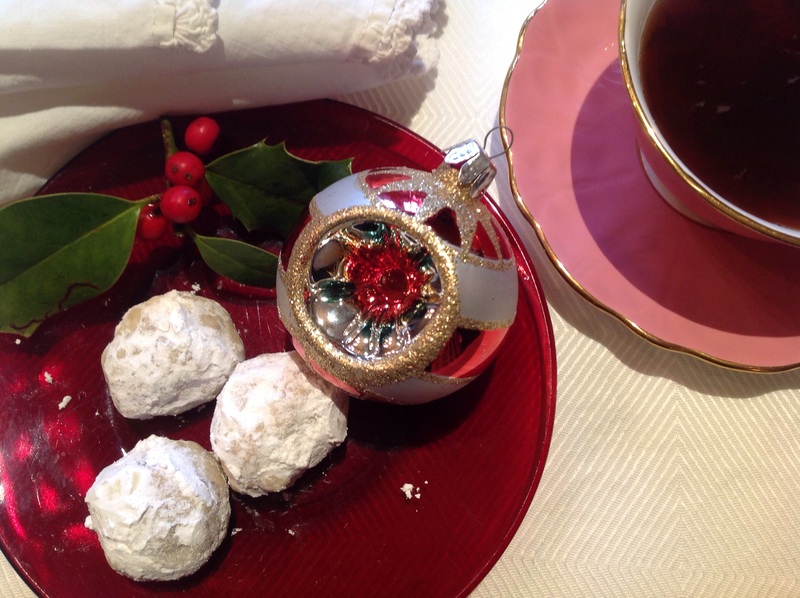 My sister had baked those cookies so I would have something from home at Christmas. She was reaching out and sending as much love, caring and concern to help me through this difficult time. It was one of the most extraordinary gifts of my life, still to this day. That gift helped me recognize and count the blessings of my life. It was a gift of love and hope. Every year I bake my sister’s Christmas cookies and share them with my family and friends. These cookies are my mom’s favorite and it would not be Christmas without them. When she arrives to spend the holidays with us this week, I hope she will feel the love baked in those cookies. She calls them Michelle’s cookies. I call them my own little Christmas miracle. 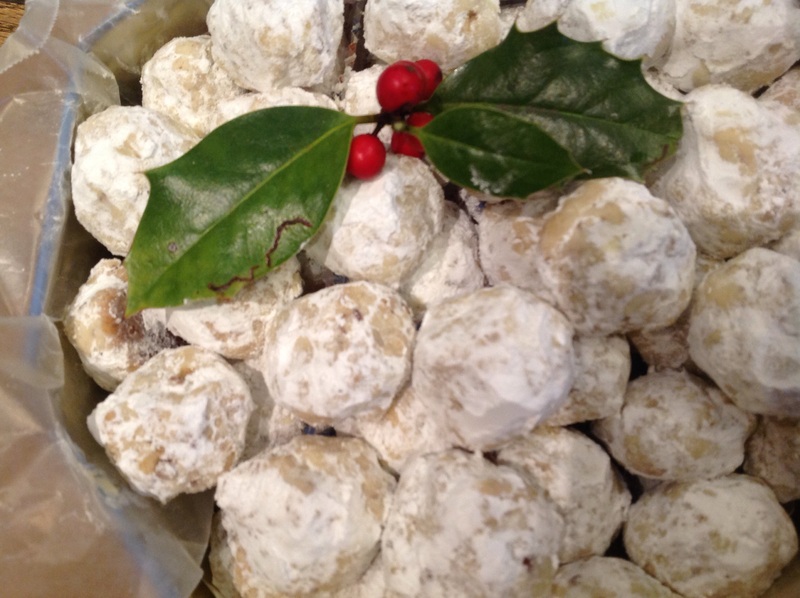 These are a holiday classic and known by many names. 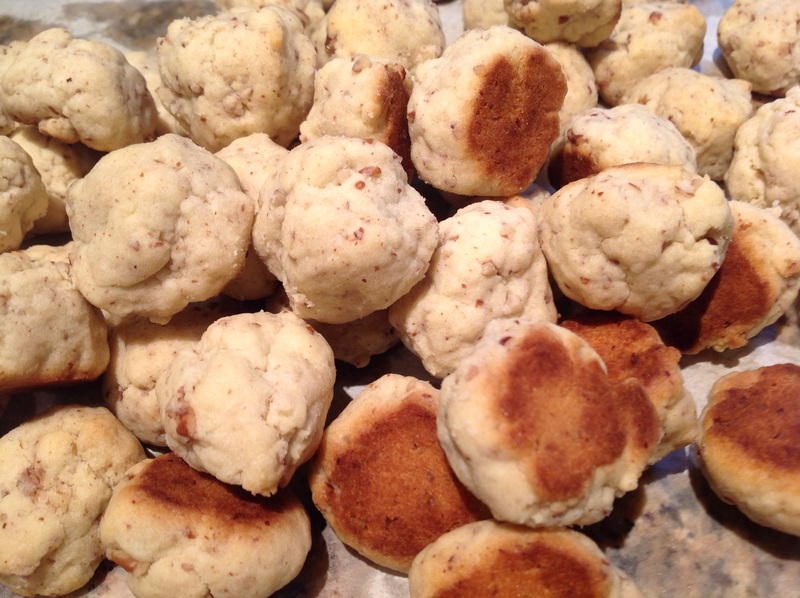 Swedish Butter Balls, Nut Balls, Russian Tea Cakes, Mexican Wedding coolies or just plain Snowballs. 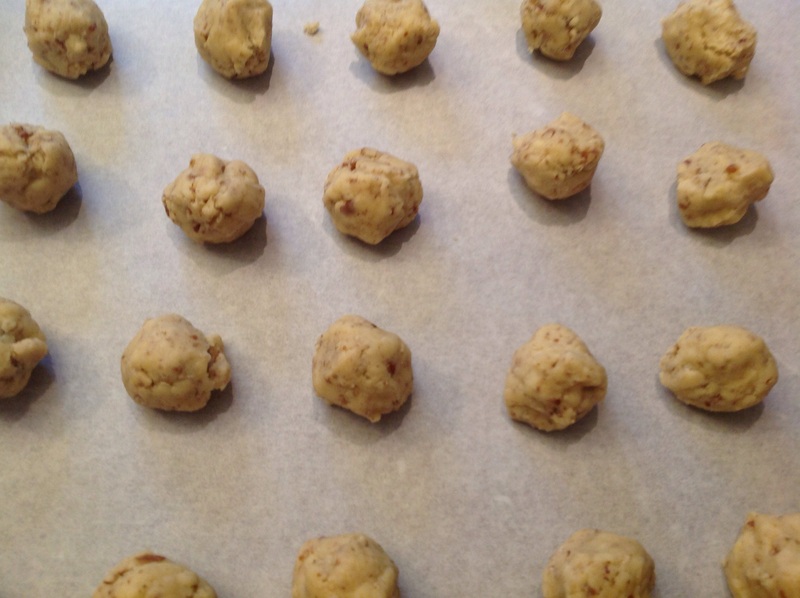 However you call them, they are a perfect sweet and nutty little nugget. The trick is not to overbake them as they will dry out. 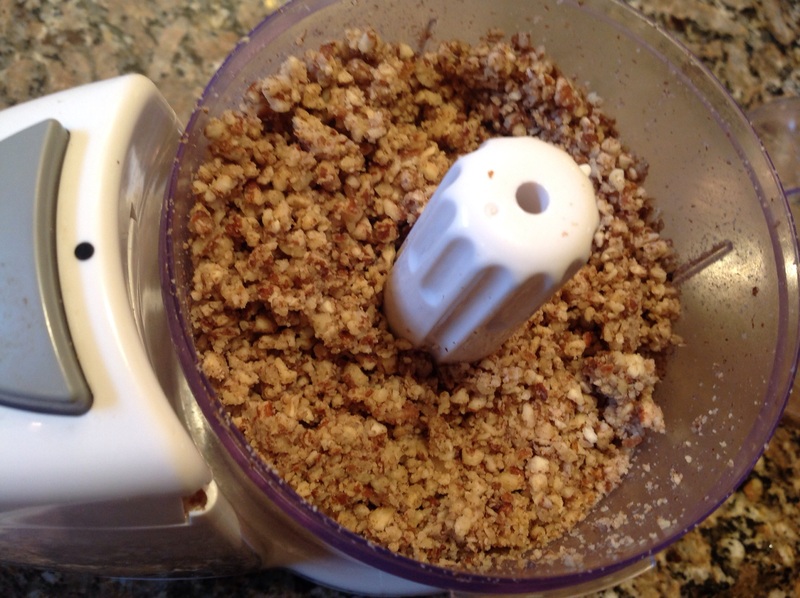 The nuts need to be finely ground but not ground into a powder. You want the cookie to have the toothsome crunch of nutty flavor when you bite into it. 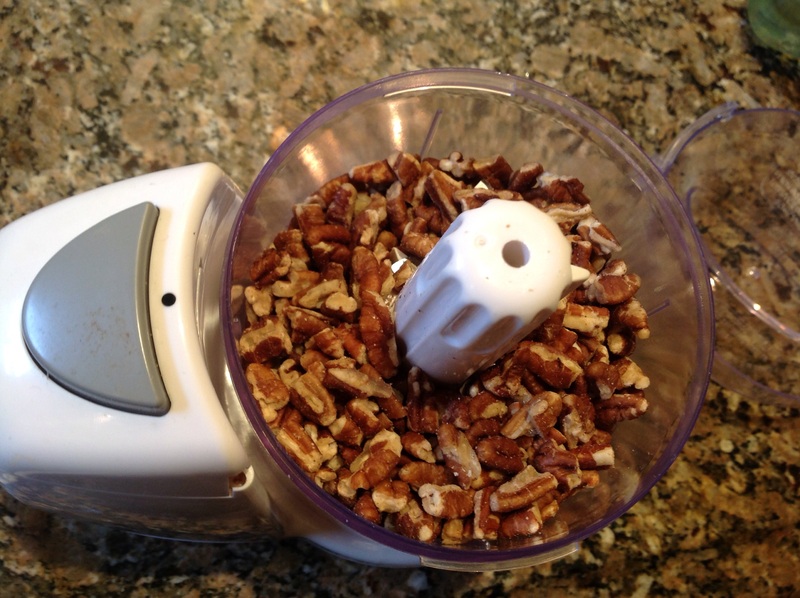 You can make them with walnuts instead of pecans. 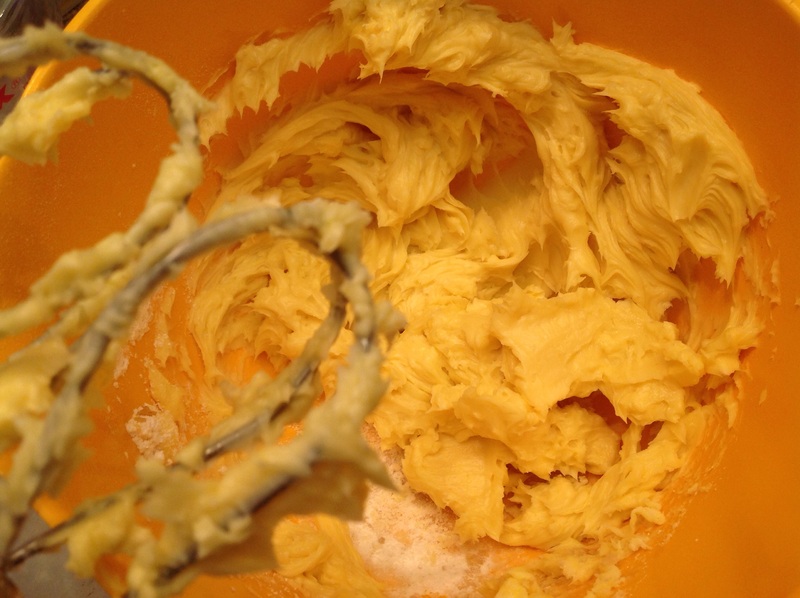 Preheat oven to 400 F. Cream together the butter, sugar and vanilla. 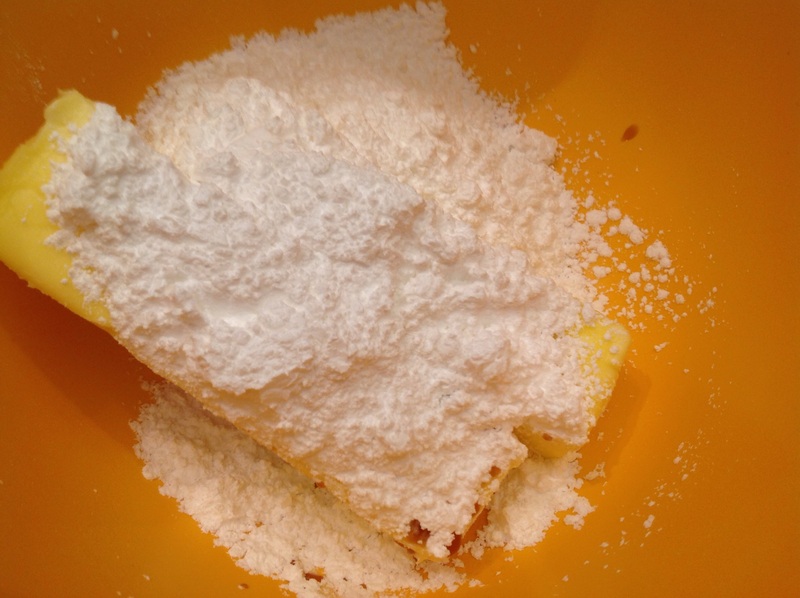 Gradually add flour. Fold in the nuts. 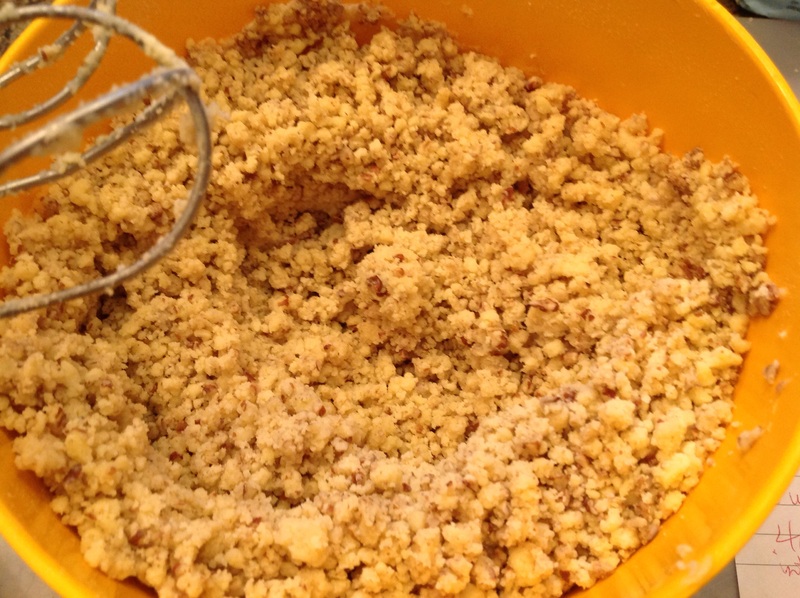 The mixture will be like coarse oatmeal. With your hands, press together to form 1 inch balls. Bake on a non greased sheet for 8-10 minutes. Do not over cook or the cookies will be dry. When the cookies have a golden bottom, they are ready. Cool. Roll in icing sugar in a bowl, to coat. Can be frozen 3 months. 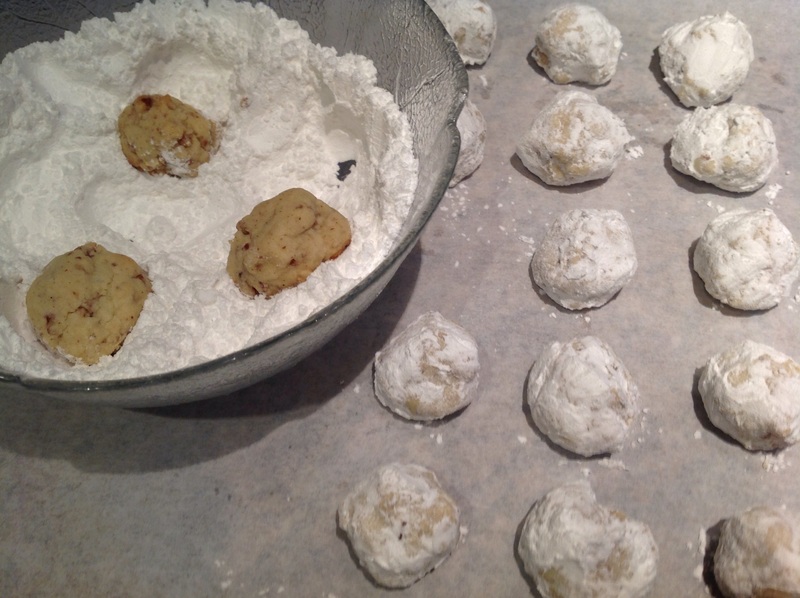 This entry was posted in Recipes and tagged pecan snowball cookies, Swedish Butter Ball cookies, Swedish snowball cookies by Johanne Lamarche. Bookmark the permalink. 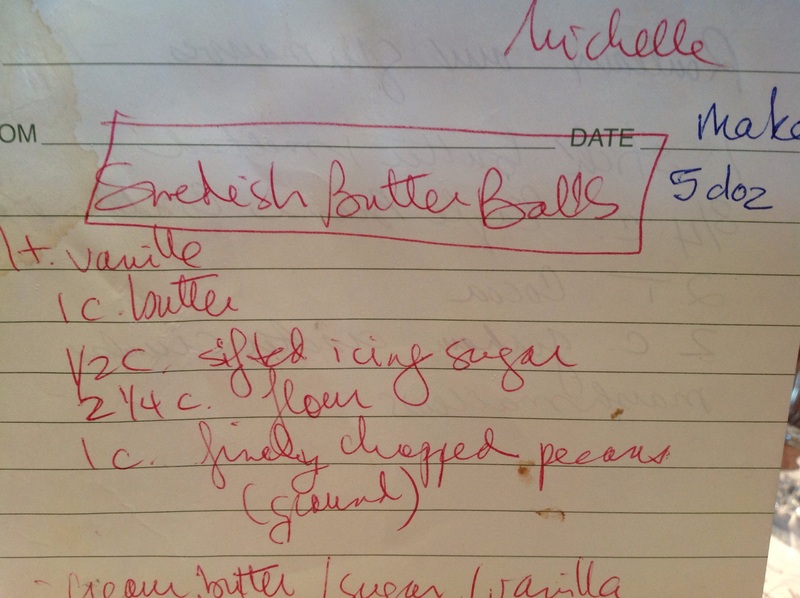 Thank you so much for sharing this with us, both the recipe and your story. I have always believed that baking can save lives, and you proved me right 😉 Have a wonderful 3rd Sunday of Advent! Thank you Ginger! You as well! We make these every year as well. In our home we call them Russian Tea Cakes and they have always been one on my favourites. Thanks for a wonderful heartwarming story to go along with then. Merriest of Christmas to you and yours. I will have to edit and add that name too Sharon! Merry Christmas to you too!